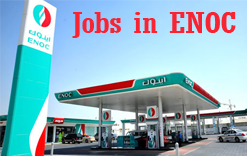 ENOC (the Emirates National Oil Company) is the Dubai Government owned diversified energy group. One of its subsidiaries, ENOC Processing Company LCC (EPCL) runs the Jebel Ali refinery in Dubai. ENOC is a multi-interest oil and gas group and has operations in Dubai and Northern Emirates in UAE, although it does not have operations in Abu Dhabi, the largest of the emirates.